During the Google I/O keynote last month, Google announced that official beta testing of Android apps was being introduced to developers who were interested in getting new versions of their apps out to early adopters who were willing to test them and provide feedback. 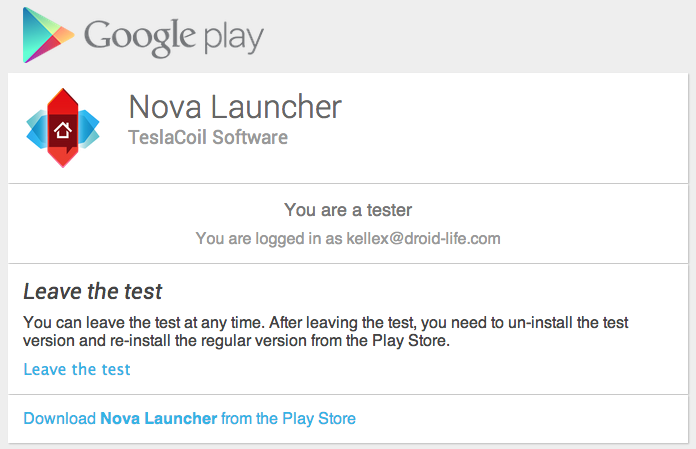 We have already seen test groups start for apps like DashClock, Falcon Pro, and Fleksy. Today, two more incredibly popular apps join the trend, Nova Launcher and Sliding Messaging. Just like with the previous test groups, you have to join the Google+ Community for each app and then opt-in to testing before you can download new releases from Google Play before they roll out to the public. If you want to get the newest features of apps, beta test groups are the best ways to do it. Keep in mind that should you decide you no longer want to be a part of the beta test group and would like to receive stable releases only, you can opt-out at any time.